1. Breton, C., Lancaster, N. and W.G. Nickling. 2007. Magnitude and frequency of grain flow on a desert sand dune. Geomorphology. doi:10.1016/j.geomorph.2007.07.004. 2. Kgathi, D.L., Kniveton, D., Ringrose, S., Turton, A.R., Vanderpost, C.H.M., Lundquist, J. and M. Seely. 2006. The Okavango; a river supporting its people, environment and economic development. Journal of Hydrology. 331(1-2): 3-17. 3. Klintenberg, P., Seely, M. and C. Christiansson. 2007. Local and national perceptions of environmental change in central Northern Namibia: do they correspond? Journal of Arid Environments 69: 506-525. 4. Krug, C.B. 2004. Survival in the Namib: adaptations of the striped mouse to an arid environment. Transactions of the Royal Society of South Africa 59: 93-98. 5. Krug, C.B. 2007. Reproduction of Rhabdomys pumilio in the Namib Desert: pattern and possible control. Basic and Applied Dryland Research 1: 67-85. 6. Krug, C.B., Esler, K.J., Hoffman, M.T., Henschel, J., Schmiedel, U. and N. Jürgens. 2006. 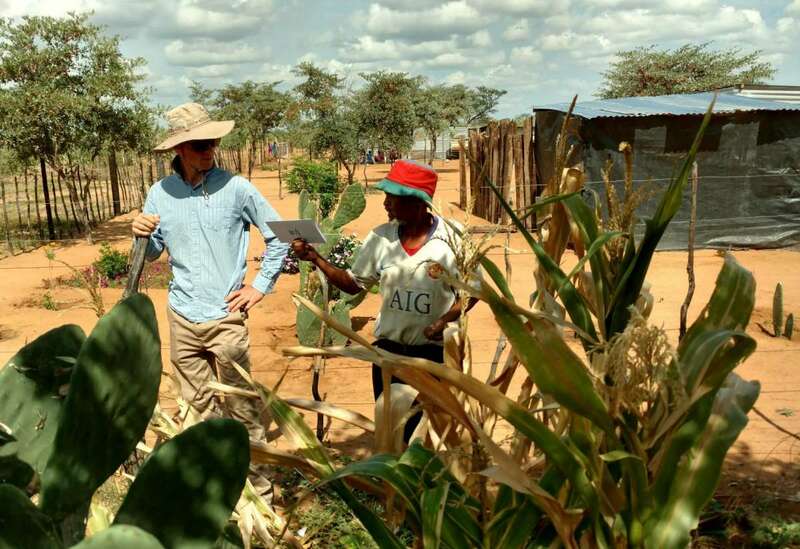 North-South cooperation through BIOTA: an interdisciplinary monitoring programme in arid and semi-arid southern Africa. South African Journal of Science 102: 187-190. 7. Stringer, L.C., Reed, M.S., Dougill, A.J., Seely, M.K. and M. Rokitzki. 2007. Implementing the UNCCD: participatory challenges. Natural Resources Forum 31: 198-211. 8. Verlinden, A. and A.S. Kruger. 2007. Changing grazing systems in central North Namibia. Land Degradation & Development 18: 179-197. 9. Viles, H.A. and A.S. Goudie. 2007. Rapid salt weathering in the coastal Namib desert: implications for landscape development. Geomorphology 85: 49-62. 1. Cilliers, J. 2006. Investigation into the hybrid renewable energy systems at Gobabeb. M. Sc. Dissertation. University of Stellenbosch. Stellenbosch: 1-58. 2. Fennessy, J.T. 2004. Ecology of desert-dwelling giraffe Giraffa camelopardalis angolensis in northwestern Namibia. Ph. D. Dissertation. University of Sydney. Sydney: 1-265. 3. Klintenberg, P. 2007. More water, less grass? An assessment of resource degradation and stakeholders’ perceptions of environmental change in Ombuga grassland, northern Namibia. Ph.D. Dissertation. Department of Physical Geography and Quaternary Geology, Stockholm University. Stockholm. 4. Kuhn, B.F. 2006. The collection behaviour and taphonomic signatures of hyaenids. Ph. D. Dissertation. University of Pretoria, Pretoria. 5. Najjuuko, D. 2006. Cultural globalization: Windhoek Youth Culture and the impact of music and popular visual cultures on modern Namibian identity and tradition(s). Bachelor of Arts Degree. University of Namibia. Windhoek: 1-67. 6. Najjuuko, D. 2006. The information needs and seeking patterns of staff members at the Desert Research Foundation of Namibia (DRFN). Bachelor of Arts Degree. University of Namibia. Windhoek: 1-64. 7. Steckel, J. 2007. A phylogenetic approach to darkling beetles in the Namib Desert based on molecular genetics. Diploma. University of Marburg, Marburg: 1-61. 8. Whitaker, C.R. 2006. Studies on the biology, fungal contamination, and conservation of seeds of Welwitschia mirabilis Hook. fil. Ph. D. Dissertation. University of KwaZulu-Natal, Durban: 1-143. 1. Anonymous. 2005. The socio-economic importance of alluvial aquifers for communities in the lower Kuiseb River, Namibia. Flood Water Recharge in Alluvial Aquifers of Dry Environments (WADE). Gobabeb Training and Research Centre; Desert Research Foundation of Namibia (DRFN) Windhoek: 1-58. 2. Anonymous. 2006. Resources, livelihood management, reforms, and processes of structural change. Annual Report: Volkswagen Stiftung, Hannover: 4-7. 3. Anonymous. 2007. Gobabeb, Namibia NOAA ESRL GMD carbon cycle. NOAA ESRL Global Monitoring Division. Boulder, Colorado: 1-3. 4. Anonymous. 2007. Supporting local decision making with inter-community platform and local-level monitoring. Community organization: the essential basis for community-based disaster risk reduction and management. In: Building disaster resilient communities. Good practices and lessons learned. A publication of the “Global Network of NGOs” for disaster risk reduction. United Nations International Strategy for Disaster Reduction, Geneva: 40-42. 5. Anonymous. 2007. Oshikoto regional poverty profile. Based on village-level participatory poverty assessments in Oshikoto Region, Namibia in December 2005 – March 2006. (Main report). National Planning Commission, Windhoek: 1-138. 6. Anonymous. 2006. Omaheke regional poverty profile. Based on village-level participatory poverty assessments in the Omaheke Region, Namibia in October/November 2004. (Full report). National Planning Commission, Government of the Republic of Namibia, Windhoek: 1-190. 7. Anonymous. 2006. Omaheke regional poverty profile. Based on village-level participatory poverty assessments in the Omaheke Region, Namibia in October/November 2004. (Summary report). National Planning Commission, Government of the Republic of Namibia, Windhoek: 2-73. 8. Böhme, E. 2006. From Galapagos to Gobabeb. Around the world as volunteer. Falb Verlag. Nürnberg: 3-209. 9. Henschel, I.A. and J.R. Henschel. 2007. DRFN & Gobabeb comprehensive bibliography. Desert Research Foundation of Namibia & Gobabeb Training and Research Centre. pp: 1-79. 10. Linsenmair, K.E. and J. Henschel. 2007. Arthropods as ecosystem engineers: the impact of ants, termites and tenebrionid beetles on soil properties and vegetation. Cooperative research of African and German scientists for the generation of policy relevant knowledge on maintenance and sustainable use of biodiversity. In: Biodiversity Monitoring Transect Analysis in Africa. Towards sustainable use of biodiversity. (Final BIOTA report second phase 2003-2006). Bundesministerium für Bildung und Forschung. Hamburg: 143-151. 11. Mutota, E. 2007. Training manual on environmental education teaching approaches (methods and activities). Umgeni Valley Environmental Education Centre. Durban: 1-20. 12. Prillinger, R.J. 2007. Analysis of the biodiversity of Coleoptera (beetles) in 3 different ecosystems in Gobabeb, Namibia, for the year 2006 using the ongoing pitfall traps, in Kuiseb River – Interdunes – Quartz Hill. Gobabeb Training and Research Centre, Gobabeb: 2-13. 1. Anonymous. 2007. Gobabeb: custodian of the Namib. Space Magazine. (Windhoek) 3: 40-42. 2. Anonymous. 2007. Milestones: significant markers in the history of the Namib-Naukluft Park. Sandpaper. Windhoek: 12-15. 3. Anonymous. 2007. Namib places . . . features and facets that make the Namib unique. Sandpaper. Windhoek: 4-7. 4. Anonymous. 2007. 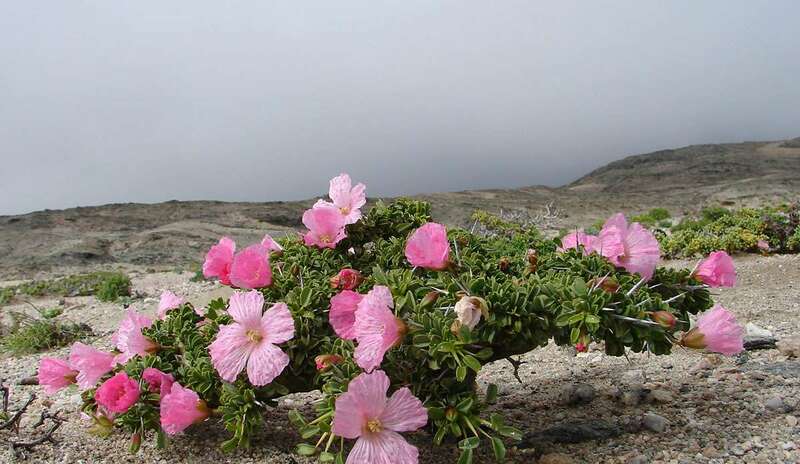 Natural wonders of the Namib a look at the quirkier flora and fauna. Sandpaper. Windhoek: 16-18. 5. Anonymous. 2007. Germany donates N$1, 4m to Gobabeb through GTZ. Namib Times (29 June 2007). Walvis Bay: 6. 6. Chesnut, L., Bradley-Cook, J. and F. Kaseke. 2007. Human life in the Namib – modern reflections on an ancient relationship. Space Magazine. (Windhoek) 3#5: 8-10. 7. Cowlishaw, G. and E. Huchard. 2007. Life on the edge. Conservation and the Environment in Namibia (Edition 2007/8). Windhoek: 28-29. 8. De Klerk, E. 2007. Weather station to measure climate change. Namib Times (17 August 2007). Walvis Bay: 4. 9. Hindjou, J., Kruger, B. and D. Uandara, 2006. Communal farmers in Okondatu are adjusting livestock numbers to available fodder sources. Roan News. Windhoek: 16 – 19. 10. Kinghorn, S. 2007. An der Atlantikküste, in der Namibwüste: Gobabeb-Ausflug angesagt. Namib Times (24 August 2007). Walvis Bay: 21. 11. Lalley, J.S. 2007. The conservation value of Namib Desert lichens. Conservation and the Environment in Namibia (Edition 2007/8). Windhoek: 30-31. 12. Mutota, E. 2007. Topnaar grand clean up campaign. Namib Times. (30 January 2007). Walvis Bay: 4. 13. Mutota, E. 2007. 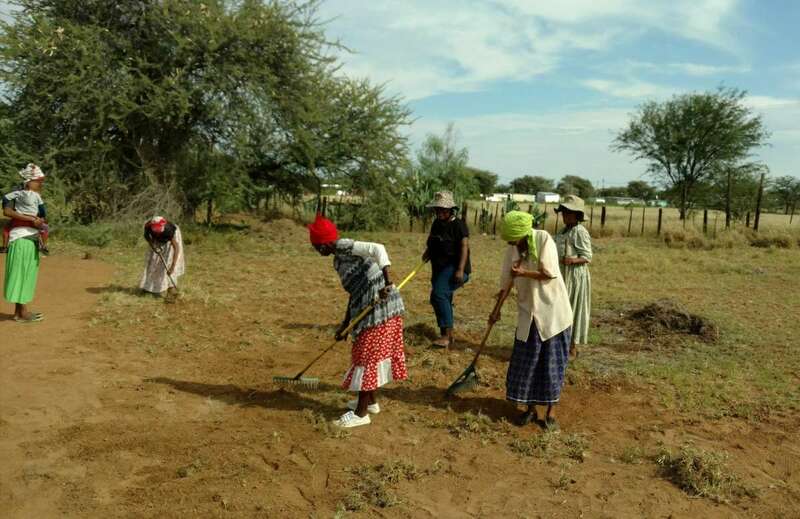 Community cooperation in the Namib: keeping the desert clean. Namib Times. (6 February 2007). Walvis Bay: 4. 14. Mutota, E. 2007. 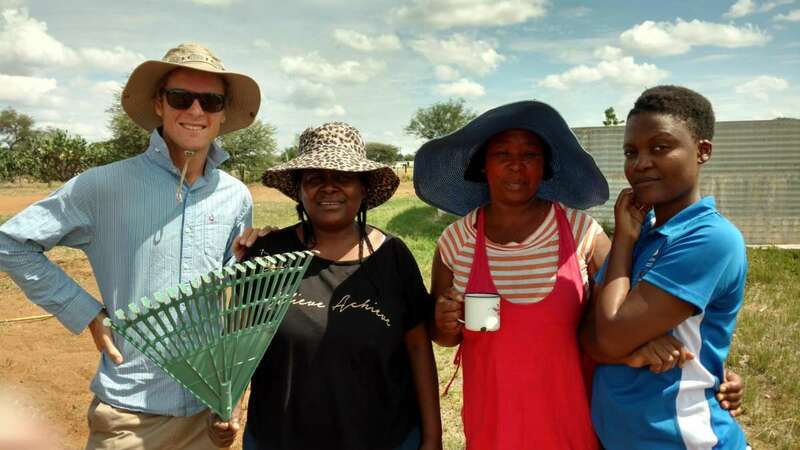 Community cooperation in the Namib: keeping the desert clean. The Namibian (15 February 2007). Windhoek: 4. 15. Roberts, C. 2007. A step towards addressing poverty. Conservation and the Environment in Namibia (Edition 2007/8). Windhoek: 38-39. 16. Schmidt-Kallert, E. 2007. Mit jedem Schritt vorwärts ein Stück zurück. Frankfurter Allgemeine Zeitung (Issue date: 10/05/2007). Frankfurt/Main: 9. 17. Schmidt-Kallert, E. 2007. Namibia: Unterwegs in der ältesten Wüste der Welt. Frankfurter Allgemeine Zeitung (Issue date: 10-05-2007). Frankfurt/Main: 11. 18. Schöneburg Schultz, D. 2007. DRFN: Tun, was Sinn macht – gut und unbedingt zuverlässig. Allgemeine Zeitung. Windhoek: 10. 19. Seely, M. 2007. Ten million years – one hundredth anniversary. Conservation and the Environment in Namibia (Edition 2007/8). Windhoek: 32-34. 20. Seely, M. 2007. Ten million years – one hundredth anniversary. Flamingo. Windhoek: 46-50. Conference on fog, fog collection and dew. (July 22-27, 2007). 2. Henschel, J.R. 2007. Experiences and lessons learnt from ICS and long term environmental monitoring. AIDCCD – active exchange of experience on indicators and development of perspectives in the context of UNCCD. (2 to 7 April 2006). Windhoek and Ondangwa: 54-69. 3. Henschel, J.R., and J.L. Rubio. 2007. Report from working group 2: Integrated communication systems and physical information. AIDCCD – active exchange of experience on indicators and development of perspectives in the context of UNCCD. (2 to 7 April 2006). Windhoek and Ondangwa: 259-260. 4. Klintenberg, P. and C. Christiansson. 2005. Improved access to water: an enemy in disguise? 15th Stockholm Water Symposium. (August 21-27. 2005). Stockholm: 267-268. 5. Klintenberg, P. and M. Seely. 2007. Report from working group 1: Socio- economic data. AIDCCD active exchange of experience on indicators and development of perspectives in the context of UNCCD. International seminar on: role of information circulation systems in scientific and practical approaches to combat desertification. (2 to 7 April 2006). Windhoek and Ondangwa: 256-258. 6. Mazambani, C., Schönbrodt, S. and P. Klintenberg. 2006. Water supply: a gift from God or does it come with a cost? World Water Week in Stockholm. (August 20-26, 2006). Stockholm: 150-151. 7. Pauw, J.C., Henschel, J.R., Sitoe, A.A., Chimphamba, J.B., Kanyanga, J.K. and S. Ringrose. 2007. Ecological networking in southern Africa: the ELTOSA experience. AIDCCD active exchange of experience on indicators and development of perspectives in the context of UNCCD. International seminar on: role of information circulation systems in scientific and practical approaches to combat desertification. (2 to 7 April 2006). Windhoek and Ondangwa: 70-80. 8. Seely, M. and P. Klintenberg. 2007. Can information circulation contribute to combating desertification. AIDCCD active exchange of experience on indicators and development of perspectives in the context of UNCCD. International seminar on: role of information circulation systems in scientific and practical approaches to combat desertification. (2 to 7 April 2006). Windhoek and Ondangwa: 13-23. 9. Seely, M., Klintenberg, P. and S. Shikongo. 2007. Evolutionary process of mainstreaming desertification policy: a Namibian case study. Desertification and the International Policy Imperative. Proceedings of the Joint International Conference. (17-19 December 2006). Alger: 107-115.